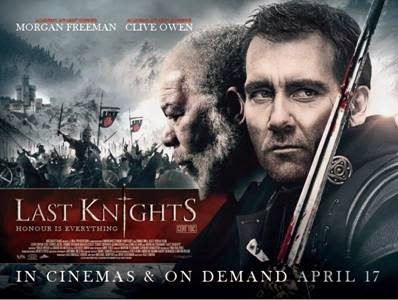 Gladiator meets Game of Thrones in Last Knights, an electrifying epic starring Academy Award® winner Morgan Freeman (The Shawshank Redemption, Invictus) and Academy Award® nominee Clive Owen (Closer, Children of Men). In an age of honour and justice by the sword, Raiden (Owen) is a fallen warrior who must rise up against a corrupt and sadistic ruler to avenge Bartok (Freeman), his dishonoured master. This epic sword-clashing adventure of loyalty, honour, and vengeance is a stunning cinematic experience not to be missed.